This Premier Collection of statues are based on the Batman Classic TV Series, and this highly detailed resin statue depicts actor Burt Ward as Batman's partner-in-crimefighting, Robin! 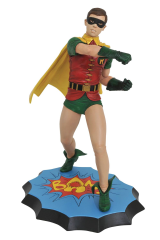 Measuring approximately 10 inches tall and standing atop a sound-effect base inspired by the classic TV show, this statue is in scale to the other statues in the series; pair it with Batman to throw a double punch at an opponent! 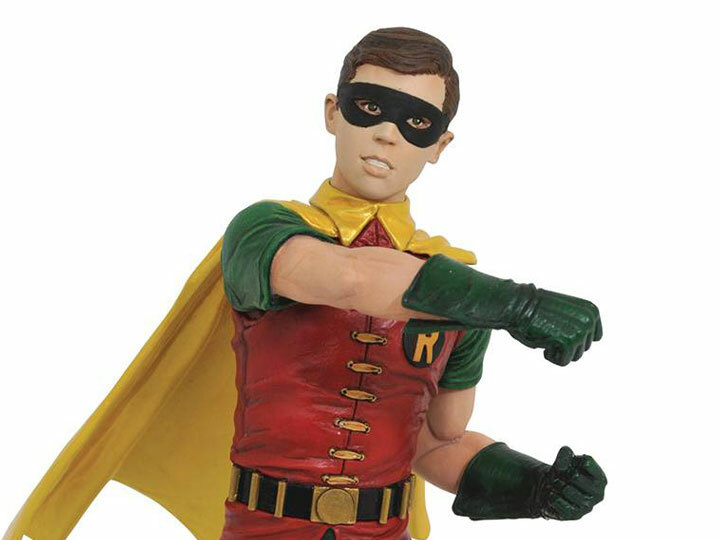 It comes packaged in a full-color box with a hand-numbered certificate of authenticity and is limited edition of 3000 pieces.